A freezer is one of the easiest home appliances to install since it can plug into a standard wall electrical outlet. Connecting power to a freezer is not the only thing you need to consider when you are buying one. A freezer generally has the longest expected life cycle of any kitchen appliance, so the installation is long term. Once placed and filled with frozen foods, a freezer is not impossible but difficult to relocate, so it's best to be sure that the place you pick to install it will be appropriate for the long haul. Finding a place for a freezer should be explored before you buy the new appliance. Ideally, you'll need a dry, cool place with a nearby plug-in. There should also be enough room to allow for a full door swing, which depends on the style of freezer you buy. Which way the door opens on an upright should also be considered for convenience, as should meeting any height requirements for either chest or upright models. A cool area will allow the freezer to work more efficiently, while a sunny location or heated space will force the freezer to work harder to maintain an ideal interior temperature. A freezer that works inefficiently will end up costing you more in electricity. It can also shorten the unit's expected lifespan. The freezer location will often influence the size of freezer you can get, as well as the type you should consider. When it comes to size, keep in mind that oversized freezers can be difficult to remove from basements and even with the top door removed, it may still be difficult to maneuver through average doorways. So choose a capacity that's sufficient for your needs, yet would be easier to handle, should there be a move in the future. When deciding where to place your new freezer, you should also look to maximize the convenience of storing and retrieving frozen foods. 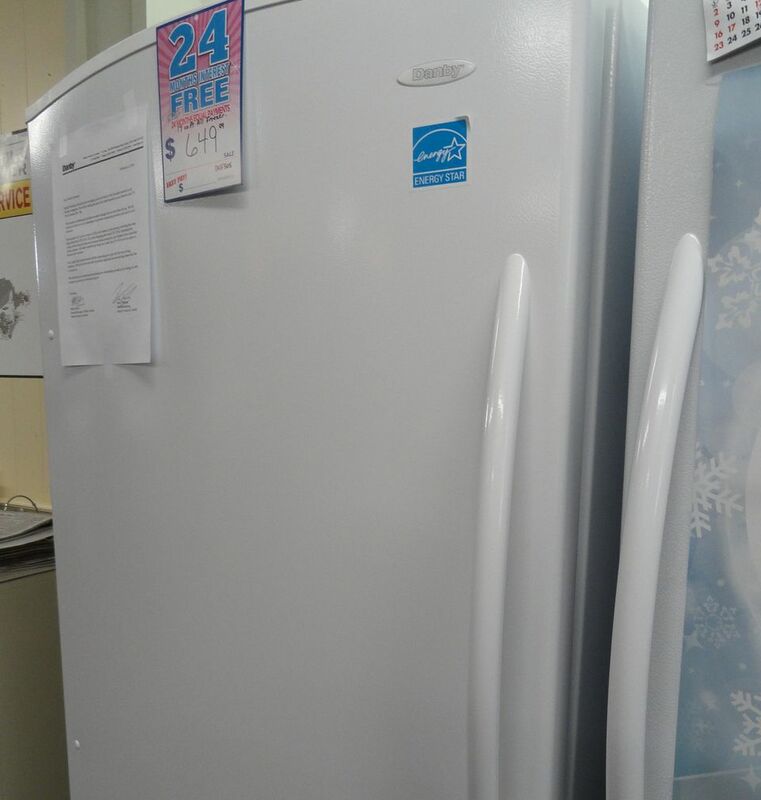 If you already have some frozen food storage space in your refrigerator freezer or a primary freezer on the main floor and this new unit will be used mainly for the overflow, you may have more choices for locating your new freezer since distance will not be an issue. On the other hand, if the new freezer will be your only frozen food storage unit, you may want to place it in the kitchen or as close as possible to it. There are two main types of freezers, chest and upright models and each has its pros and cons which should be considered before deciding on a freezer type, since installation may vary depending on the type you choose. Door swing - right or left - also varies per model and can either impede or improve access to contents depending on placement. Upright freezers tend to blend in the kitchen more easily than chest models, though that can be a matter of preference. Upright models are available in manual or automatic defrost, while a chest freezer usually has to be defrosted manually. A chest freezer offers the best energy savings, but not necessarily the most convenience when it comes to organizing or finding stored frozen foods. If style is a concern, consider the built-in look. An upright freezer can sometimes be customized to blend well with cabinetry, or you may want to check if a companion freezer is available for your brand of refrigerator. A refrigerator-freezer duo is the most efficient regarding convenience and workflow, as long as sufficient kitchen space is available for such an installation. Be aware that custom appliances can be pricey. Other possible locations for placing a freezer include the kitchen, utility room, basement, garage, and laundry room. When space is limited, you may want to consider locating a freezer in a guest room or outdoor shed. Anytime a freezer is installed outdoors, you should ensure that the climate temperature is appropriate for a freezer. Manufacturers will usually provide recommended temperatures for efficient freezer operation, in product manuals.